But that all changed when, facing the double threat of obesity and diabetes himself, his research led to a shocking realisation that overturned a lot of the medical ‘truth’ he’d taken for granted: our dietary guidelines and food pyramid have no scientific basis. So he switched to a low-carb, healthy fat lifestyle – and dropped 13 kilos, lowered his insulin levels and drastically improved his liver function in just three months. 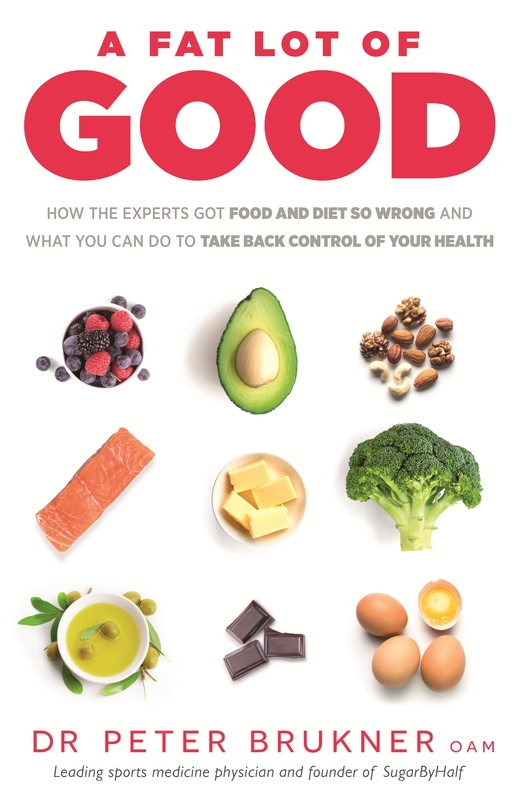 In A Fat Lot of Good Dr Brukner busts the dietary myths we’ve been living by for decades and gives you all the information you need, in as simple a way as possible, to live a longer, healthier and – most importantly – more enjoyable life. All author proceeds donated to SugarByHalf. Love A Fat Lot of Good? Subscribe to Read More to find out about similar books.